Another category five hurricane in the Atlantic. Maria ramped up quickly yesterday and has re-intensified early today. Maria went from a category one storm to a five in a day yesterday. Overnight, it slammed into Dominica with 160 mph winds. After weakening slightly, the hurricane has regained its strength still the strongest ranked storm possible. This storm posses a great threat to the Virgin Islands today and to Puerto Rico on Wednesday. All indications are Maria will be a category 4 or 5 storm when in reaches the island Wednesday afternoon. From there, strong computer model consensus exists for a turn to the north over the open Atlantic. Is it unusual for two storms of this strength to form in one year? Not really. Like notable tornado outbreaks, when the exact conditions line up you will get more than one violent storm. For hurricanes in this region, the warm water is present like it is most years. Weak wind shear (wind shear is a notable change in wind speed and or direction with height) and a parade of disturbances needed to “kick off” development is all that is needed. Hurricane Maria is strengthening in the Atlantic and has its eyes set on Puerto Rico. This storm is in warm water and a favorable upper air pattern to develop. It is presently a category 2 storm with 110 mph winds. It should increase today to a category 3 storm. It is not following the slightly cooler, up-welled waters left behind by the track of Irma or Jose but will cross that path later this week. As for whether Maria will affect the mainland U.S., the computer models are somewhat up in the air (which is typical) but do lean more toward an open ocean track by late in the week. It is nearly impossible to grasp widespread damage from such large storms as Irma. Hurricane Irma finally made Florida peninsula landfall yesterday near Marco Island as a category 3 storm. It’s extremely large wind field is so unlike say a tornado in which you can see the relativity small damage area. In the case of Irma, no flyover can take in all of the damage. Even though Irma ended up on the west coast of Florida, Miami experienced 90+ mph winds yesterday. Indeed, all of south Florida experienced winds between 75 and 130 mph at some point. Lots of damage reports spread over a wide area. Flooding was occurring too: a combination of storm surge, very persistent on-shore flow and heavy rains. The forward motion of Irma limited rainfall but widespread 6-12″ totals have occurred with a few isolated higher amounts. On-shore flow is what flooded Miami. On the other hand, off-shore (shore to sea) winds drained a portion of Tampa Bay for a time yesterday. The forecasts for Hurricane Irma were very good! One has to accept that fact that precision on landfall, especially many days out, is nearly impossible. If I was living in Florida, I would have gotten away from any coast. There was a strong possibility of a category 4-5 landfall in a highly populated area. I’ve already heard reports that Irma wasn’t as bad as expected. The use of the would “expected” implies a certainty that didn’t exist. When I was forecasting weather, one thing I had to accept early on was differences in perception. While I, the scientist , would tally a forecast as a success, there were always those who would disagree. With a 90% chance for rain, will you ever convince the 10% that you hit the forecast? I hope that’s it for land-falling hurricanes this year. Jose will do a “loop” out over the Atlantic and by all guidance should stay out over open water. We are still very much in hurricane season, let’s hope for the best! Hurricane Irma is making landfall in the Florida Keys this morning has a category four storm with winds up to 130 mph. Key West is in the western eye-wall. A recent wind gust of 91 mph was just recorded there. The radar dome is just east of Key West with Doppler radar winds being measured as high as 123 mph. With Irma forecast to basically skirt the western shoreline of Florida, the maximum wind speeds and storm storm associated with the right forward quadrant of the storm will impact many of the larger population centers such as Naples, Ft. Myers and the Tampa/St. Petersburg area. Storm surge forecasts suggest 9 foot plus around the Ft. Myers area. Winds in all areas of western Florida will range from 75-130 mph through today and early Monday. 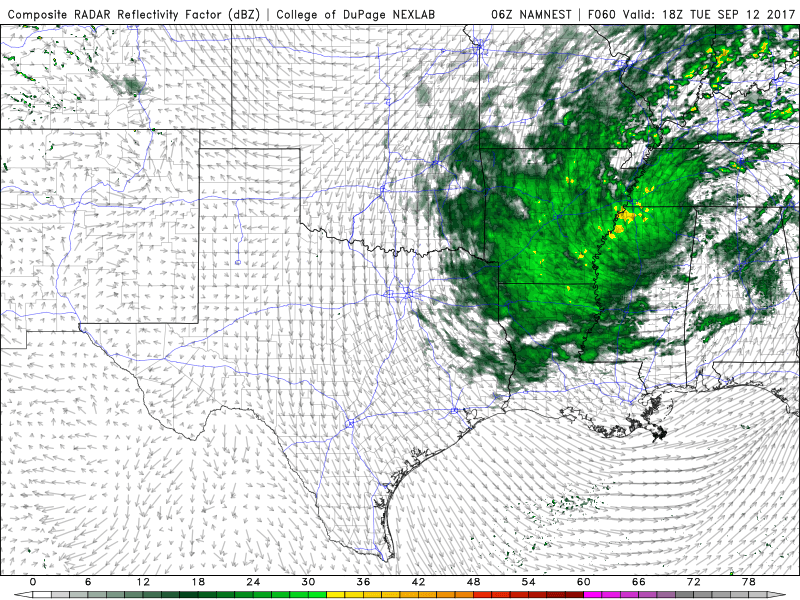 I’m see some evidence of better eye wall organization early this morning. Irma is expected to maintain its strength through most of today with a good possibility of some strengthing in the warm waters off the southwest Florida coast. Irma may make it into the Ozarks by Tuesday. Hurricane Irma has spent the overnight hours making brief landfall on and hugging the northern coast of Cuba. This has been a nerve-racking storm for Florida! The whole state will see powerful impact from Irma but the question all week has been, when will it turn? The answer has significant implications for maximum eye-wall winds and storm surge especially with regard to population centers. The “cone” is something that appears on official hurricane track forecasts issued by the National Hurricane Center (NHC) and it exists for good reason. As I stated in this blog earlier this week, Irma always had the potential to wind up on either coast of Florida. Uncertainty increases with time when forecasting any weather event. With hurricanes moving in a straight line, confidence is usually pretty high. But when these storms start interacting with weather systems tracking in pretty much the opposite direction traveling over the U.S., it can be difficult to get the turn north exact. The cone forecast exists to acknowledge such uncertainty. Look at the forecast from the NHC issued on Monday included below. Pretty much dead on! Once the turn north begins today, the course will be locked in. 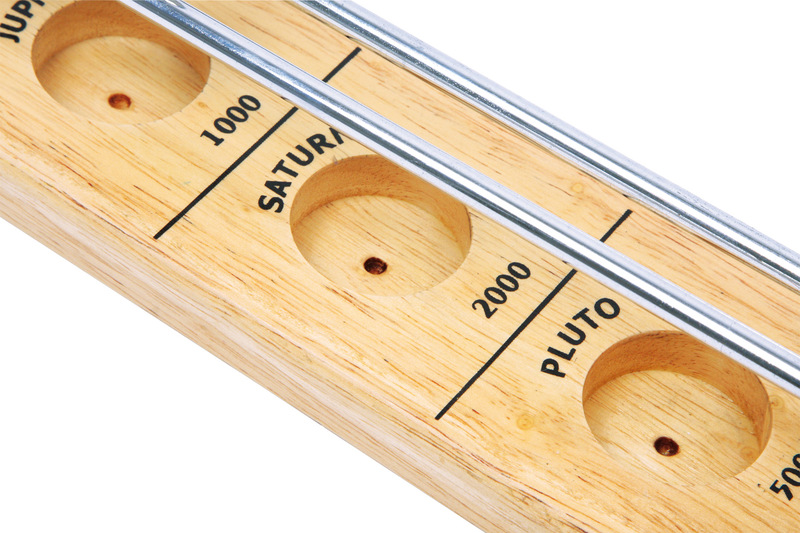 It kind of reminds me of a game I used to play where a ball rolls between two metal rails which you adjust to try to get the ball to fall into a desired slot or hole. Once it falls, your done! Of course, the actual atmosphere is much more complex because there is interaction in a fluid (air) and reliance on forecasting, the accuracy of which degrades with time by its very nature. With each hour that passes today, the western coast of Florida is under the gun. If Irma hugs the western coast of Florida, it actually puts the forward right quadrant of the storm in the worst possible place. Just a tad more west with the track and the Tampa area would get hit dead on by this part of the eye. Landfall in the panhandle of Florida is not out of the question! Again, Irma is a relatively large storm so it’s damaging wind field will affect ALL of Florida. Very warm ocean water lies ahead so the intensity should be pretty much where it’s been, or possibly ramp back up a bit. Powerful and large Hurricane Irma will strike southern Florida this weekend. With regard to track, anywhere in southern Florida is fair game at this point. The hurricane is larger than average so widespread damage similar to what happened with Harvey in and around Rockport, Texas (see below) a few weeks ago will occur over much of southern Florida. Ground zero for landfall will experience the worst damage. Fortunately, enough notice has gone out on this storm that folks have had a chance to get out or prepare. In case the message was lost, all coastal areas of southern Florida should have been under the assumption that landfall was possible and should have taken the appropriate steps. One important message today would be: don’t let further weakening of the storm this afternoon cause you to drop your guard! Interactions with Cuba and the current eye wall replacement cycle will both cause Irma to stumble a bit today. But very warm ocean temperatures and favorable upper level winds can fix this in a hurry by Saturday. Property damage will be high and fairly widespread. The radius of winds of tropical force (about 40 mph) will cover all of southern Florida. Hurricane force winds or greater ( about 74 mph) will affect nearly all of southern Florida, depending in the exact final track. Hopefully, awareness will save a lot of lives with this storm. The NOAA recon plane has also been releasing ocean probes – found very warm sea-surface temperatures of 29.5°C just ahead of #Irma. 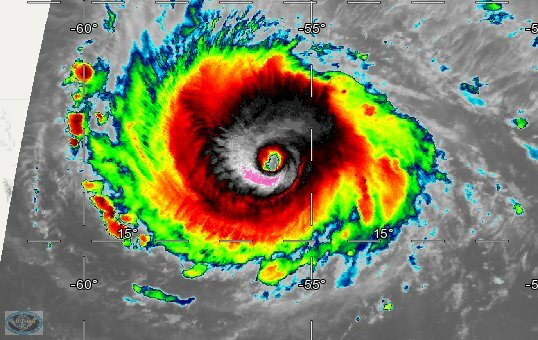 Hurricane Irma is a powerful category five hurricane which will impact southern Florida directly this weekend. 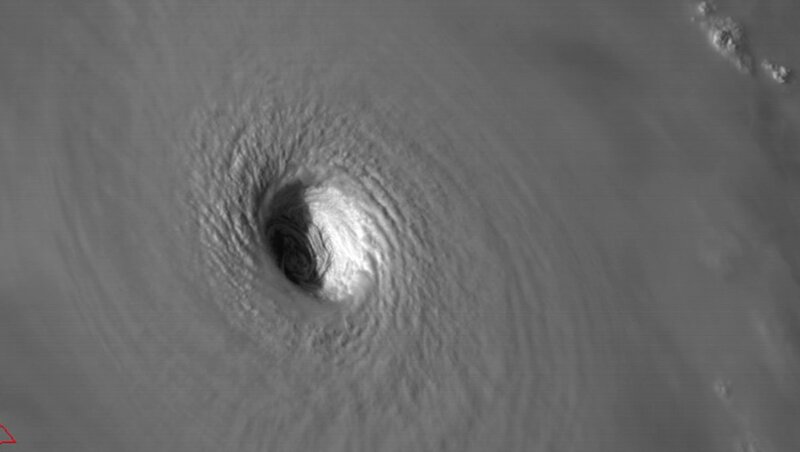 Irma is not only deep/strong as measured by the related central pressure/wind speed but it is also large with a eye wall measuring about 25 miles in diameter. So in terms of overall power placed over a given surface area, this storm is a monster. Everyone watches the forecast track of a hurricane. If I’m in Florida, I would assume the worst. Does the exact track matter in terms of impact? You bet. A hurricane of this intensity and size which strikes southeast Florida (Miami) from the south or southeast would put the maximum wind speed and surge into a very high population area. On the other hand, if Irma ends up turning north over western or central Florida, someone will get that same impact. Also, no matter which coast the storm tracks along, just about all of Florida will be in hurricane force winds or greater. This morning, increasing wind shear is weakening the forward portion of Irma which means it could weaken a tad today. On the other hand, very warm water is sitting south and southeast of Florida. I don’t see anything that would weaken Irma significantly by the weekend, a category four or five storm is still likely. Powerful Hurricane Irma passed directly over Barbuda last night with estimated 185 mph winds. This morning, it is directly over Saint-Martin and Anguilla. The pressure trace on the island of Barbuda shows how quickly pressure can drop with such an intense storm as Irma. The lowest pressure was estimated around 914 mb. Mb stands for millibars, a common unit of pressure in meteorology. Inches of Mercury (InMg) is more commonly reported and 914 mb converts to 26.99 InMg. A typical value in the Ozarks is about three inches higher! A wind sensor also showed a gust to 154 mph before it stopped working. Irma is moving almost due west. It is expected to make more of a WNW move later today. This is very important because the path and intensity will in part be dictated by its proximity to Puerto Rico. Generally, hurricanes will weaken a bit when introduced to land. Of course, the future track with regard to Florida and the U.S. is dependent in part on getting the forward motion right today. Also, you may see the latest guidance from late last night/ overnight with a shift east in the track and a sharp turn north. 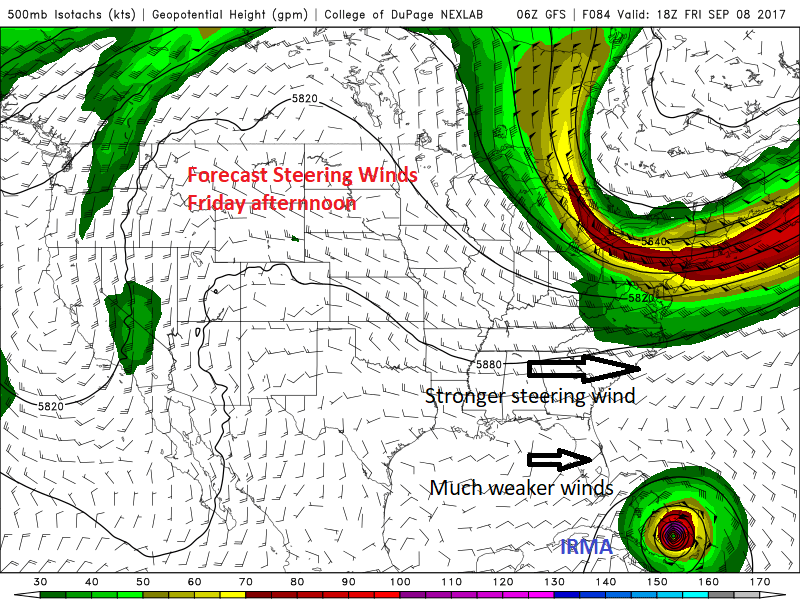 With so many people in the potential path and considering the power of Irma, no one is going to disagree with model guidance at this point. I however am somewhat dubious of the accuracy and I suspect a wide variety of outcomes is still possible.